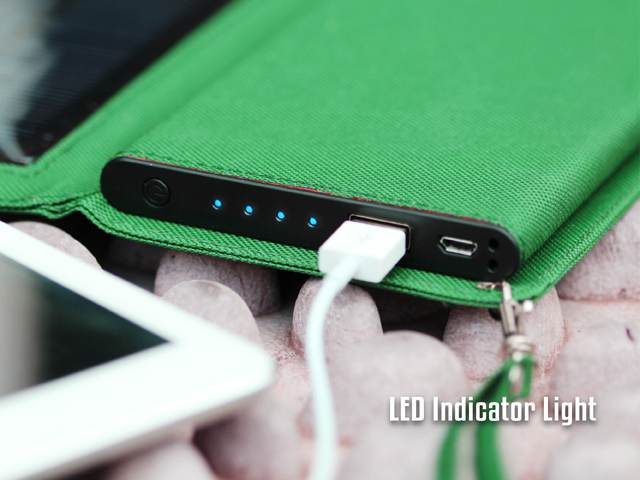 Battery power is essential for daily life nowadays. 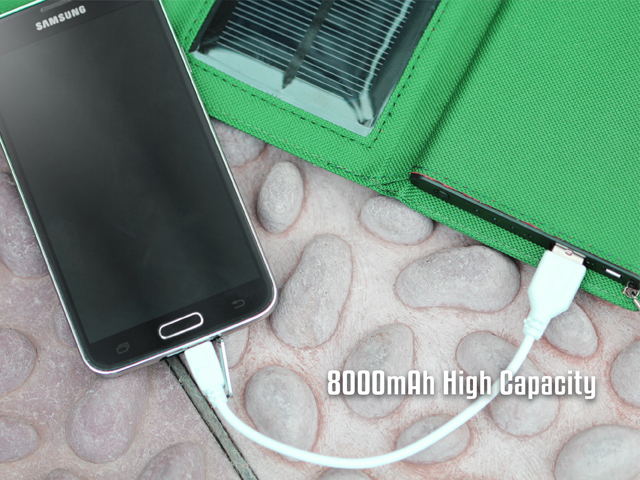 No matter smartphone, tablet or bluetooth headset, you need battery life as long as possible. 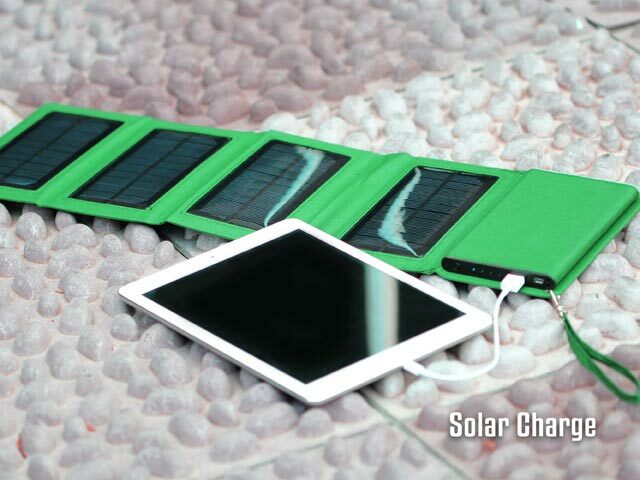 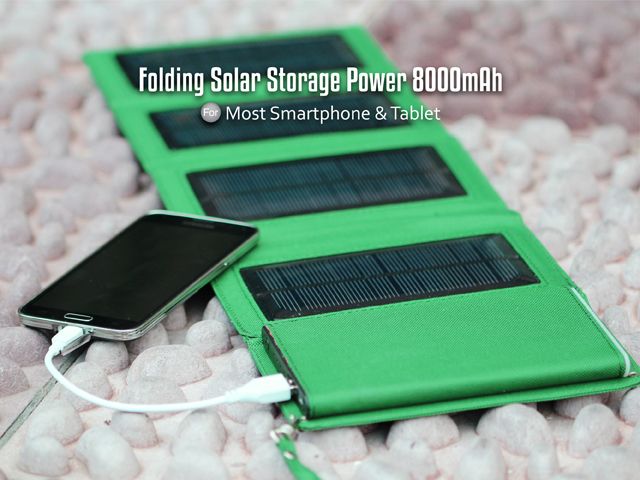 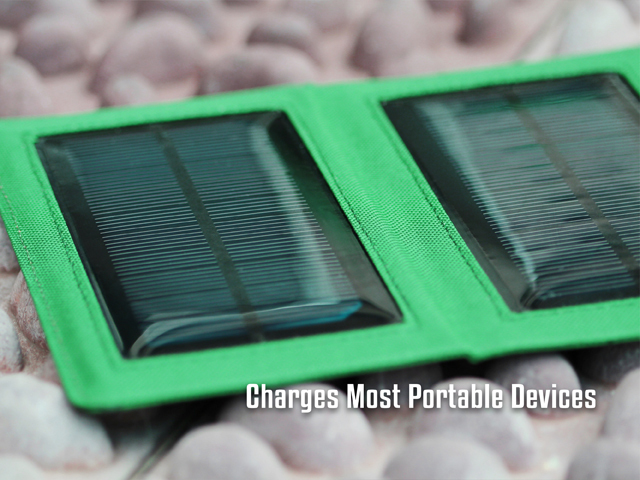 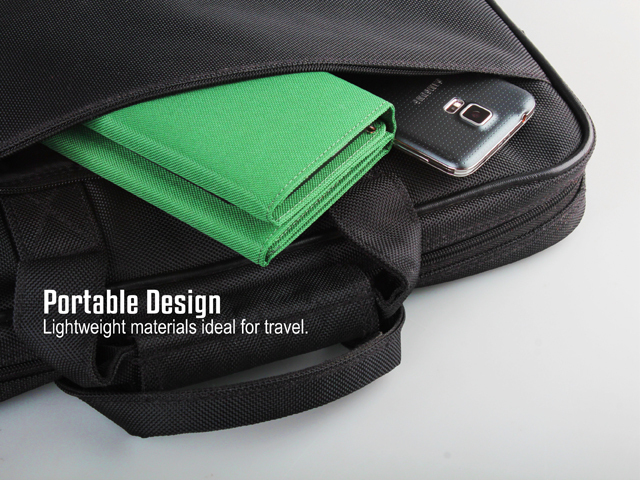 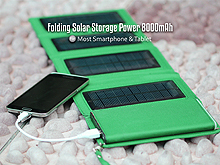 This foldable solar storage can extends the battery power for most of the electronic portable devices. 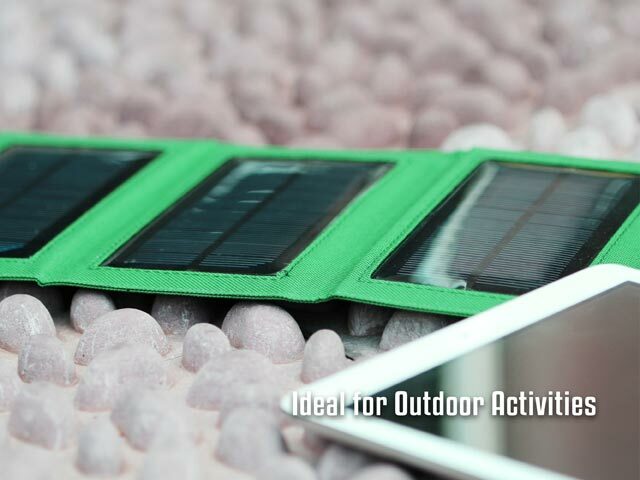 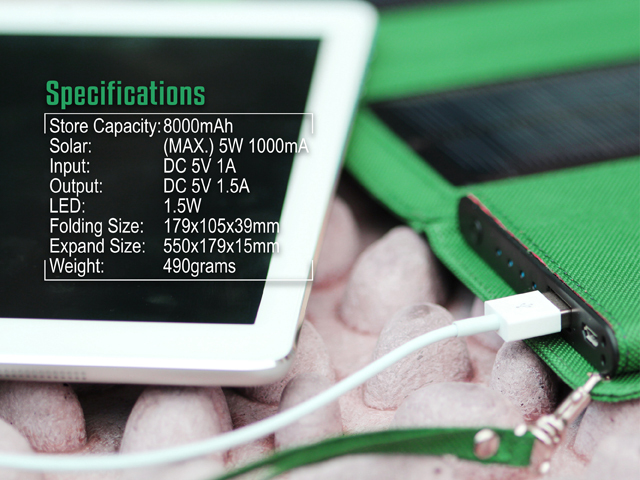 Take it with you on your outdoor activities, charge the power pack under sunlight, it will provide up to 8000mAh power capacity to your devices.